Mitch Sisson and Pepper Sisson admiring one of the toy tractors that Mitch restored. It is a tractor like “Uncle George” used to have! 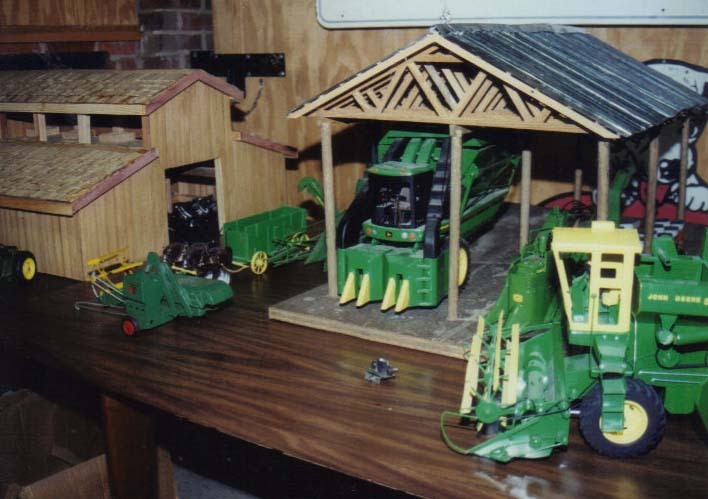 This photo was taken at one of the first Starkville Farm Toy Shows. The event is set for April 22-23. Tables typically filled the room and spill out into the hall every year at the Mississippi Horse Park in Starkville in the upper level education room. Greg Flint, one of the organizers, said the event is a great resource for answering any questions about the toys and how to fix toys and customize. Farm Toy collectors enjoy displaying their favorites at the Starkville Farm Toy Show. Flint said one of the things he most looks forward to is meeting the collectors and vendors from all over the state, as well as learning more about farming equipment from the past and present. 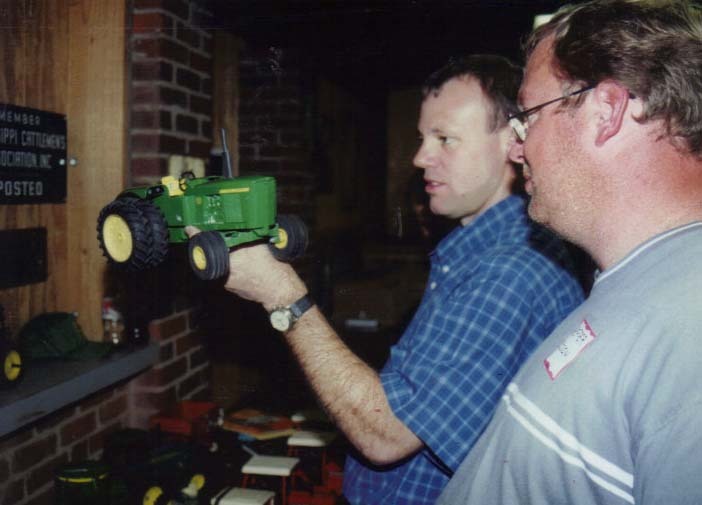 Billy Self, another Starkville Farm Toy Show organizer, agrees that meeting the vendors and collectors is an interesting learning experience at each toy show. For more information, call Mitch Sisson at (662) 769-3107 or Greg Flint at (662) 418-9101. To learn more about this year’s event, like the Facebook page at http://www.facebook.com/starkvillefarmtoyshow.